The one problem I have with this model is a number of the parts are very fragile. The guns are especially prone to damage from even the slightest drops (don’t ask how I know that). That, of course, means transporting it anywhere is a bit of a pain. I have a feeling that this won’t be the last model in this range I say that about. 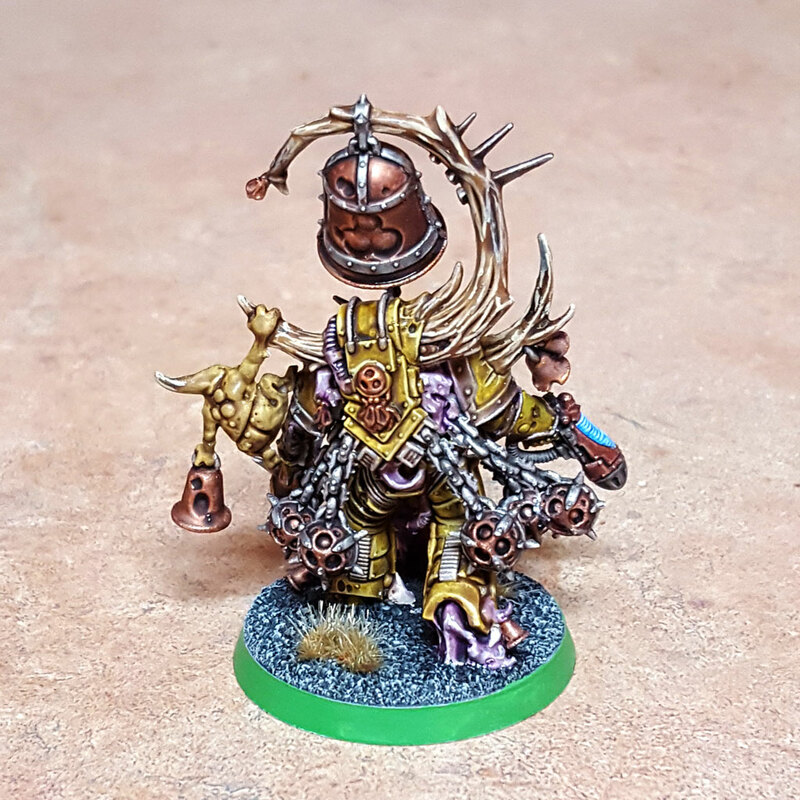 Another model I finished earlier this week, and in time to score for last week’s Konor round, was the Noxious Blightbringer. I tried to use pretty much the same colors I have been using on the rest of my Plague Marines. Now this guy came out much better than I was expecting for how quickly I painted him. I’m really proud of how well the horns/antlers came out. I think it’s my best work on that sort of model detail. For his tattered… bib, I considered doing something like the photo’s presented in the box set art, but thought it would take too long as I was painting him specifically for hobby points in the Konor campaign. So I went for a base of Screamer Pink, like I have on my other Death Guard Plague Marines. I found that the Ogryn Camo Shade provides an excellent highlight for the Vallejo Camouflage Green color. I really like how that series came out on the armor, and I’ll be using that again, too. The one obnoxious thing about this model is how much the model’s various accouterments get in the way of the brush. It’s especially bad on the back. For example, the chains and censers really limit the brush angles you can get to portions of the leg armor. Sure, you can work around it, but you have to give it some thought during the highlighting phase. Those headaches aside, I really do like the look of this model, and I’m very proud of the work I did on it. That said, I’m not sure I’ll use him much in games. 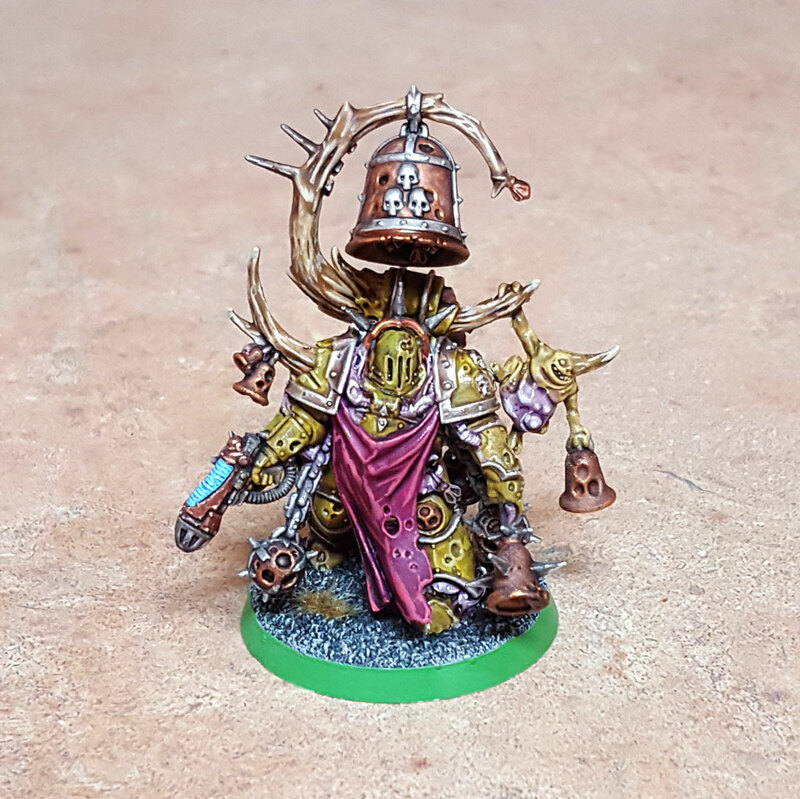 The Noxious Blightbringer’s rules are just not that good, not for his point cost. 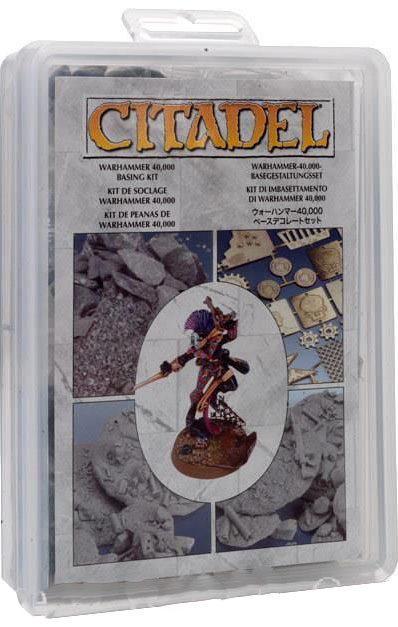 Still, it’s a model I might not otherwise have done, so one less model to languish in the Dark Imperium box. This week’s featured unit in the Konor campaign is vehicles. 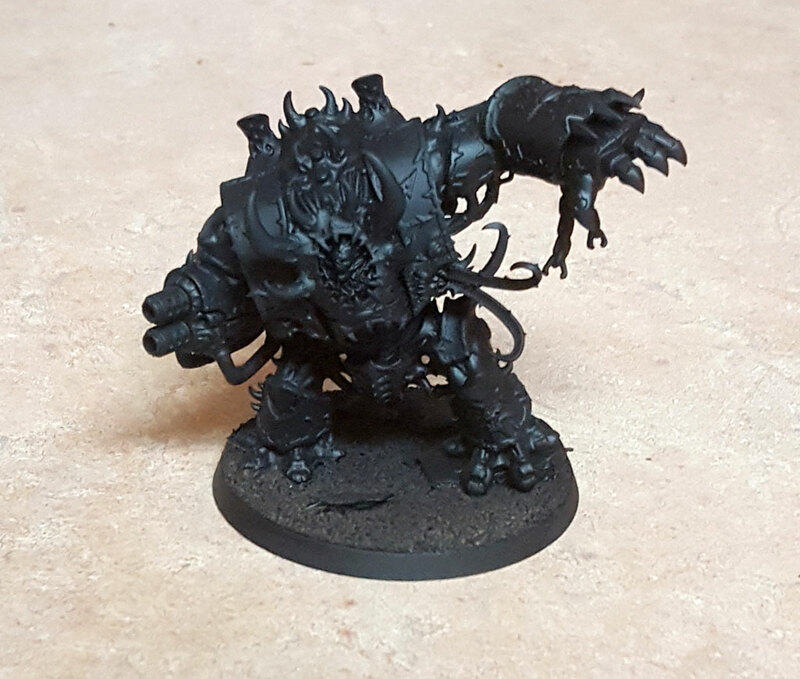 So I’m pulling out a Helbrute from one of my Dark Vengeance boxes and painting him up. I really had no motivation to paint him in 7th edition as Helbrutes stunk. They are better this edition, though, so he may see some action. I’m not sure if I’m going to paint him in Black Legion colors or World Eater colors. I already have a Black Legion Helbrute (an old Chaos Dreadnought), but the World Eater colors will take a little longer. It’s a dilemma, but I’ll have to resolve it in the next day or two in order to have enough time to paint him up.